A visual field test is a way to measure your visual field. Your visual field is an indicator of how much you can see to each side while focusing your eyes on a central point (peripheral vision). Conducting a visual field test is called perimetry. A visual field test helps distinguish problems with your peripheral vision from problems with central vision. Your eye doctor might order a visual field test as part of an annual comprehensive eye examination. In many cases, your visual results will be normal. 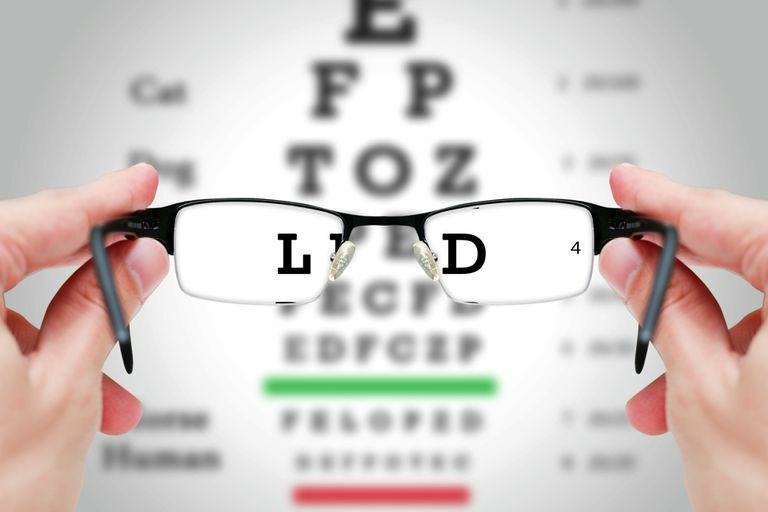 If your test results are normal, your peripheral vision is in good working order. However, if you have abnormal results, there may be a problem with your central nervous system or an undiagnosed health problem. Also, a visual field test may detect central or peripheral retinal disease, some eyelid conditions including ptosis (drooping eyelid), optic nerve disease, and diseases affecting the visual pathways within the brain. Visual pathways carry information from the eye to the visual part of the brain, where information is processed into vision. An abnormal visual field test result is a reason for concern and normally will result in more testing to uncover a possible problem. Visual field testing is generally covered by health care insurance plans, although testing may be limited to one time per year for glaucoma suspects. A glaucoma suspect is a patient with symptoms and signs that are likely to develop into glaucoma in the future. For people already diagnosed with glaucoma, insurance plans usually allow two visual field tests per year. Several methods are used by doctors to test visual field. Most visual field tests require only a few minutes in healthy patients. More time may be needed when testing ill or elderly patients. Visual field testing can also be more difficult and time-consuming in young children. A simple, basic visual field test is performed by having the patient look straight ahead and count the fingers shown by the doctor from each side. However, visual fields are typically measured by a computer in an optometrist's or ophthalmologist's office. For a computerized test, one eye is covered and the chin is placed upon a chin rest. The patient holds a button and when a flash of light is seen, he or she pushes the button. The process produces a computerized map of the patient's visual field. Don't be alarmed if your doctor repeats your visual field test several times to ensure its validity, as there is some subjectivity in performing the test. The first time a doctor performs a visual field test, they may not know what to expect, thus invalidating the results. Repeat testing often yields normal results. The visual field test is used often by eye doctors to diagnose, determine the severity of, and monitor glaucoma. Your doctor will probably order a visual field test as soon as glaucoma is suspected. The test will evaluate your vision loss caused by glaucoma and use the data to determine the severity and progression of the disease. Visual field testing will be performed many times throughout the year. Repeating the test may seem to be repetitive and unnecessary, but recurrent visual field tests are a critical part of monitoring your glaucoma. Repeating the test often helps your eye doctor determine if a change in your vision is real, and will also improve your test-taking ability. Visual field testing is useful for your doctor to tell how well you are seeing now and how well you may be able to see in the future. Test results also help your doctor decide if your current treatment is the best treatment option for you.